Abacus Accounts 'Startup Edition' is a simplified version of the original, more comprehensive Abacus Accounts. It is designed as a basic and straightforward bookkeeping program for the self-employed, small startup business or even your personal accounts. It uses the same double-entry system as the original Abacus Accounts program, but requires no prior knowledge of bookkeeping and, as such, is very easy to use. However, when your business grows and you require additional functionality (or you become VAT registered) it is easy to move up to the full program. 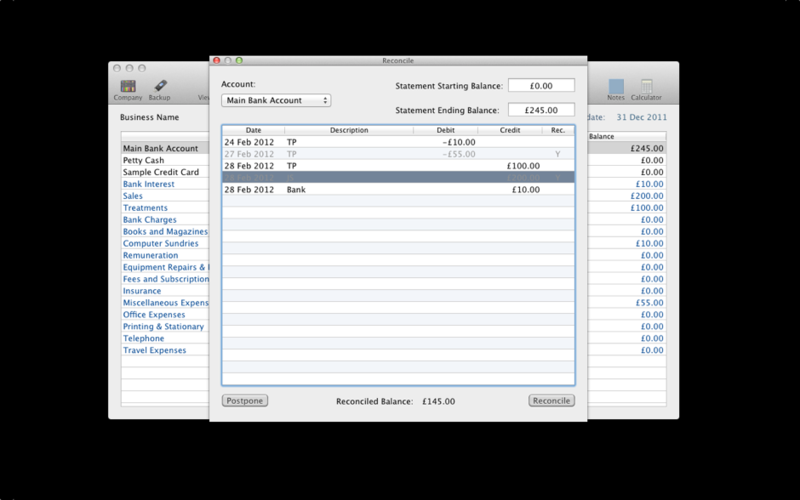 You can enter as many accounts, and income/expense categories, as you need. Bank accounts and credit card accounts can be reconciled against statements and regular bank payments set up. 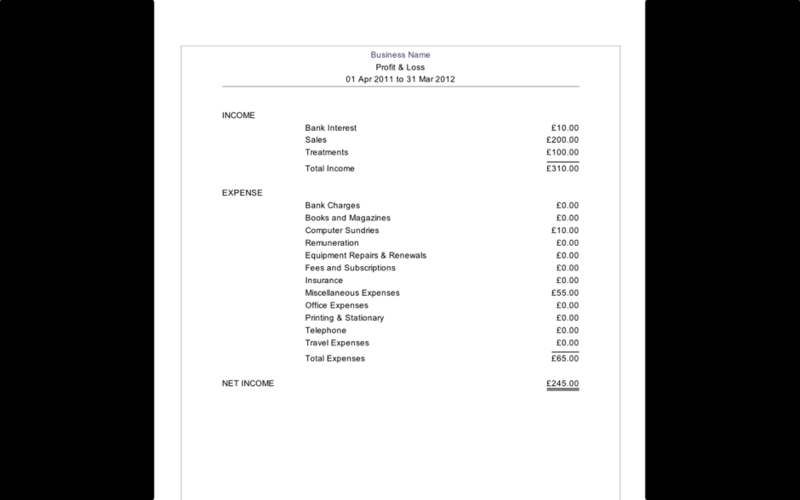 Reports can be printed for any required period. These may be used to produce the end of year accounts. 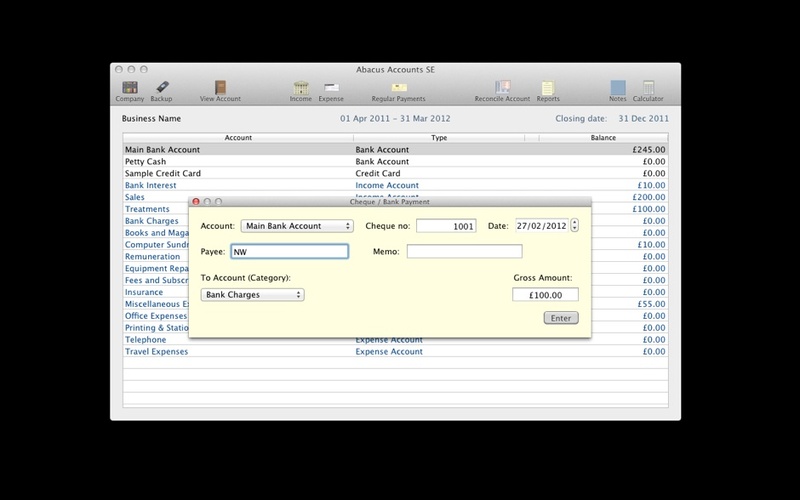 Should you later decide to purchase the full version (Abacus Accounts), you can transfer the accounts and transactions you have created (using the backup/restore options). 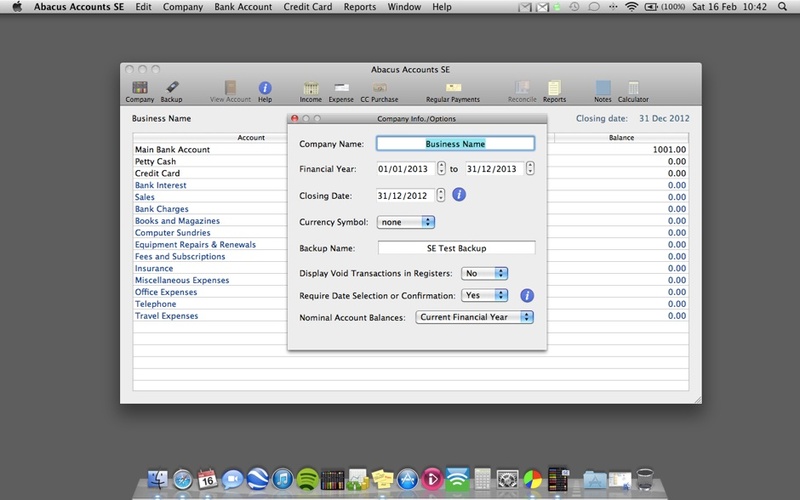 A free, trial version of Abacus Accounts SE is available for evaluation (Abacus Accounts SE Lite). It is functionally the same as the full version, but is limited to saving a maximum of 30 transactions. Should you decide to purchase the app, you can transfer the accounts and transactions you have created in the free version (using the backup/restore options). 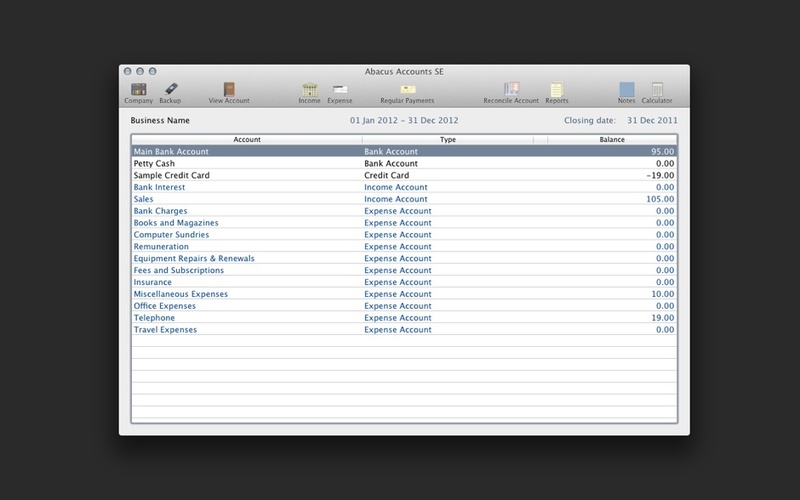 Please visit the Mac App Store, ‘Finance’ section, to download either version of the app. Requirements: Mac OS 10.6 (Snow Leopard) or later. 64 bit machine. Technical support is available by email, free of charge.